Helen Davis is driving IXL Center Programmes in the UK & Ireland. Founder and CEO of Lumenys Limited, Helen is passionate about building lasting innovation, collaboration and entrepreneurship attitudes and skills to deliver lasting customer value, profitability and revenue growth for UK and Eire businesses. 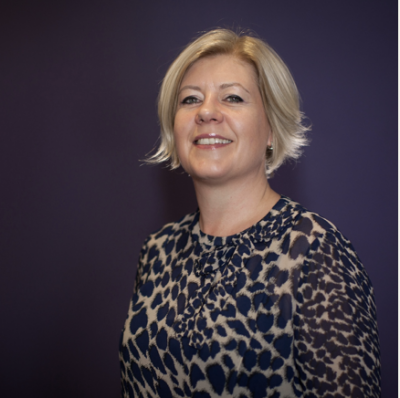 Helen has a significant track record of driving transformational change programmes and launching new services in BT PLC; setting up several innovative new tech Start-ups in the UK; and running her own SME for 11 years. She is an experienced Senior Executive; Business Leader; Entrepreneur and Business Growth expert, across a wide spectrum of market segments including Technology, Telecommunications and Professional Services,. She brings a comprehensive understanding of Corporate, Start-ups and SMEs, and how each can benefit from the learning and attitudes of the other. Helen is entirely customer focused and builds strong relationships with all her clients to ensure she fully understands their ambitions and challenges, working with them to achieve their goals.